Courtesy of Greater Mansfield REALTORS, John Boguski. Stunning new construction features a contemporary sensibility for today’s living. Sleek lines, expansive light, open living areas, high ceilings, hardwoods, master down and abundant storage highlight this 4,023 sf craftsman style home. 4 bedrooms ,4.5 baths, study, game room, open kitchen with caesar stone and marble surfaces, stainless appliances and impressive nine and a half foot marble island. First floor master with luxurious bath, separate vanities, huge walk-in closet. SELLER WILL PROVIDE 15,000 ESCROW ALLOWANCE FOR APPLIANCES WITH FULL PRICE OFFER. 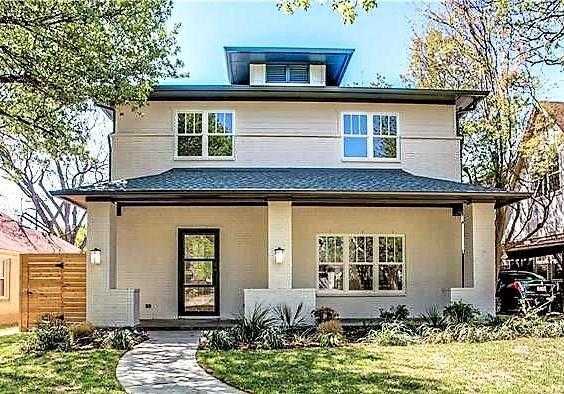 Please, send me more information on this property: MLS# 13872678 – $875,000 – 5942 Vanderbilt Avenue, Dallas, TX 75206. I would like to schedule a showing appointment for this property: MLS# 13872678 – $875,000 – 5942 Vanderbilt Avenue, Dallas, TX 75206.